The ClearMax 18-inch extension power cable splitter is the ideal solution for adding some length to your current electronic device cords. 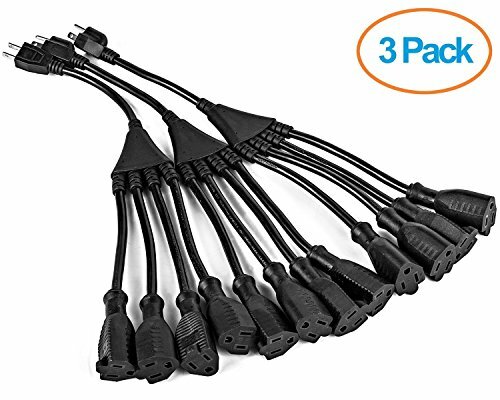 Plug those big bulky power adapters into the extender / splitter cable, instead of power strip outlets, giving you more space to get the full use of your strip! The female connector plugs directly into your current device power cable and the male connector plugs into a standard 3 Prong Outlet (Type B).